After graduating from UC Davis in 2006, Sam used contacts made during his internship to secure his first job in the Capitol – legislative aide to then-Assemblywoman Audra Strickland (R-Moorpark). He worked for several Republican legislators before jumping to the private sector in 2015 as public-relations manager for the Western States Petroleum Association (WSPA). 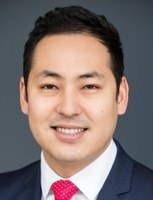 His tenure at WSPA was short, however, not because he didn’t love the job but because a friend, Republican Vince Fong, was elected to the Assembly in 2016 and needed a sure hand to help establish himself in the Capitol. In his spare time, Sam likes travel and sports, including golf, snowboarding and hiking. “I love traveling to places that give me a new experience,” he explains. Sam characterizes himself as a “people person” and credits his summer at UC Center with helping him recognize his strengths. “My skill set,” he explains, “involves relationship building and working with people to get things done.” That realization, coupled with his exposure to the Capitol, identified his career path.